The kids and I made this banner for Tony for father's day. 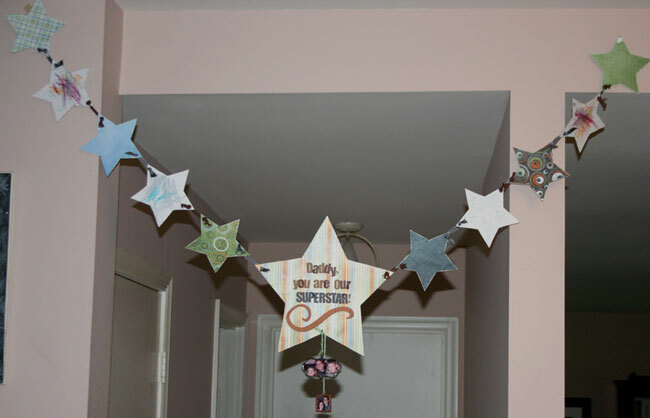 I covered some of the chipboard stars in plain white paper so that they could decorate them and contribute :-) The full directions can be found here. Not much else going on these days except for grooooowing. This was my 28 week picture taken last night. I'm definitely feeling humongous these days, and I still have almost 3 months left to grow - yikes! It's been hot hot hot here, too. 95 degrees today, ugh! Tomorrow we are hitting the pool for a playdate, though... can't wait! And on Friday, i'm heading to the beach for a girls weekend for a few days. I am getting in these girls weekends while I can! I think this is the last of my trips, though - we have to buy a new, bigger car for me this summer, so no vacation for us, but I am hoping Tony and I can get away for a weekend before baby comes! Anyway, hope you all are having a great week... happy hump day! You are looking fabulous girl! I hope the next 3 months go well for you and baby!!! CUTE banner, my friend! it looks GORGEOUS! Love the banner, and you look gorgeous! Enjoy your playdate and girl's weekend. Love the banner girl and great idea to let the kiddos have a hand in it! And you look absolutely great!!! You are blessed to still look good when you are prego (even if you don't FEEL it)!! Love the Father's Day banner! 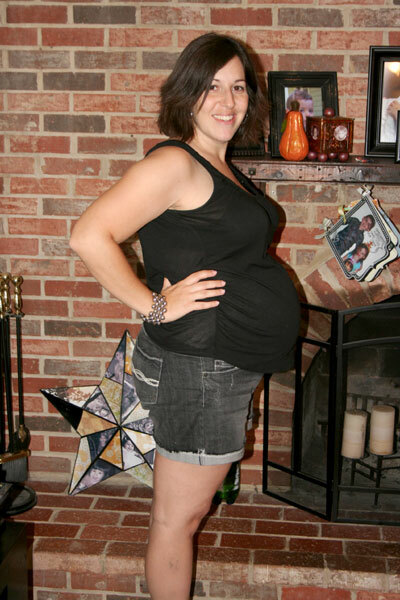 You look adorable in your prego photo! Have silly bandz hit your house yet?